The In-Sight laser profiler is a measurement system used to verify dimensionality for gauging, inspection, and ID applications. The In-Sight laser profiler is configured using the In-Sight Easy Builder user interface. This intuitive, easy-to-use software makes it simple for manufacturing and quality engineers to develop, deploy, and support accurate and reliable measurements on the factory floor. 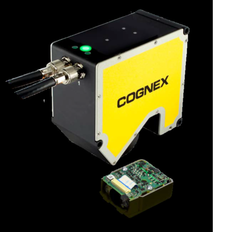 Cognex vision accessories are designed for easy integration with Cognex VisionPro, Cognex Designer, and Cognex Vision Library (CVL) environments. Cameras are available in both area scan and line scan formats to address a wide variety of applications. 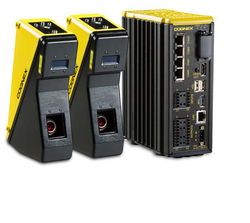 From value solutions to high-performance hardware, Cognex offers industrial cameras, vision controllers, frame grabbers, and I/O cards to meet any requirement. Looking for 3D Vision Machine ?